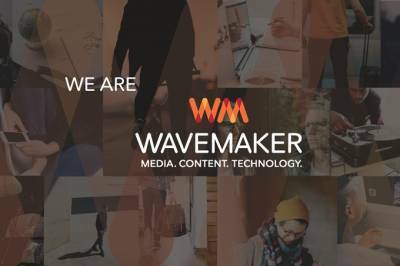 Wavemaker, GroupM’s new billion-dollar revenue, media, content and technology agency created from the merger of MEC and Maxus, opens for business in India. 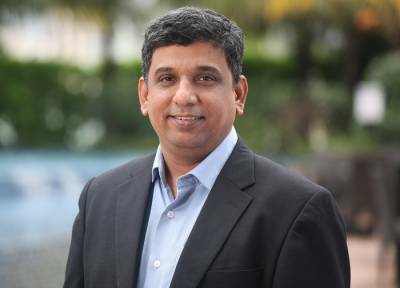 Wavemaker India will open with a team of 700+ professionals, led by the recently announced Managing Director, Kartik Sharma, and will service a portfolio of clients, including FMCG giant ITC and L’Oréal. Wavemaker India will be headquartered in Mumbai with offices in Delhi, Bengaluru, Kolkata, Chennai, Thrissur and Cochin. Wavemaker will have offices in 90 countries with over 8,500 employees. Major global clients include L’Oréal, Vodafone, Marriott, Colgate-Palmolive and Paramount. Wavemaker is a billion dollar-revenue next generation agency that sits at the intersection of media, content and technology. The customer’s purchase journey forms the core of its operations and is what connects the agency’s mission directly to its client’s business challenges. “There will be some structural changes from within the organisation in such a way that clients do not get disrupted. There will be career enhancing opportunities to the team,” he added. Sharma further said that there is a global structure that the agency will customise for each country. Directional functions will be similar, but technology, e-commerce, content and other disciplines will be strengthened, enhanced and changed. “The quality of talent that we require is not uniform in this country, let’s face this. While talent exists, local conditions are such that business may be there but the talent may not be moving. We, therefore, do not promise any clients to whom we cannot deliver. While moving to relatively smaller markets which may have business, we will weigh all the pros and cons and only then expand,” he said. Asked if they have a specific team placed for data, technology space, Sharma replied, “Yes, a specialised team for data is already in place. On technology, particularly the Ad Tech part, we have a diverse talent coming in from different industries.” He also confirmed that many of these services would be value added services and in many cases would come from a different pricing structure. For different matured clients who understand the services fully, it would be structured differently. But in most cases they would be additional services coming at different prices. “Our tools will be deployed keeping in mind the type of clients and their business needs, and accordingly these tools will work as a value add. We work on the approach that a doctor uses – first diagnose the problem and then prescribe,” he remarked. Sharma further informed that apart from India in the South-Asian region, Pakistan is an important market with strategic inputs coming in from them. Bangladesh and Sri Lanka are also equally important markets. “They may differ in size, but all are important. Sri Lanka’s growth has been phenomenal in the last two years. These three will be the second most important markets for us after India,” he concluded.